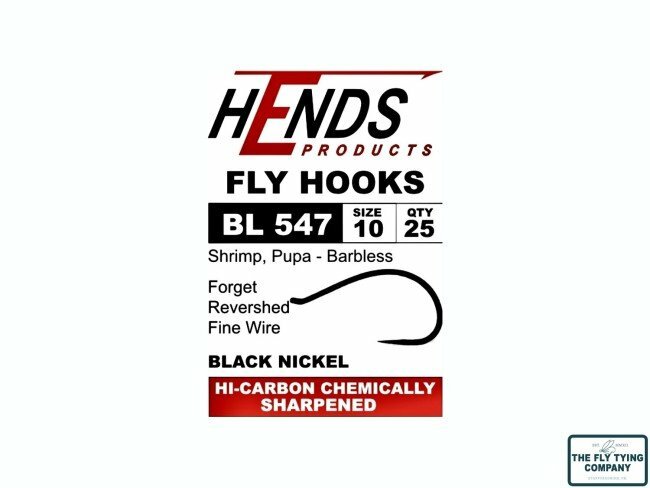 Fine wire Shrimp or Pupa hooks, Straight back rather than curved back. The points are offset, that is they kick out to the side to help hooking. 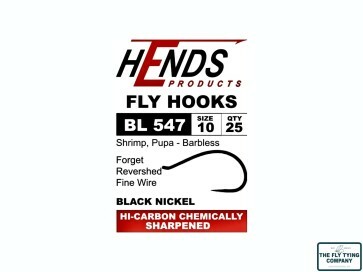 Hends Barbless hooks are made from high carbon steel, have chemically sharpened points, black nickel finish, most are forged and they are nicely shaped.